Discussions about grades has always been a controversial issue within and without the Jesuits. Grades concern Jesuits some who are granted 3 vows and others 4 vows after their tertianship experience. Jesuits do a kind of second novitiate called tertianship school of the heart experience- after ordination and some work experience. They can then request full incorporation into the Society of Jesus. The General does with advice from local Governance grant this person the status of spiritual coadjutor with three vows or give him the status of a professed father with 4 vows. Some have asked that this kind of distinction section be changed. Popes down through the years have refused the Society permission to change the grades system. The wisdom guiding this is that a person with a depth of spirituality, an availability for mission at any time and an aptitude for governance should receive the 4th vow. Discussion about the grades themselves is not an issue since the `papacy does not want any changes but how to prepare, form, communicate, and carry out this incorporation into the Society was the source of lively exchanges. Another item on the agenda was good financial practices in support of the mission. Linking treasurers with apostolic planning was key it was suggested. The issue of sharing resources through out the whole society is also an issue. In the north there is much money and few people and in the south there are many men in formation but less resources. Plans for bring about this balance have already been implemented but needs follow up. Each day there is a chairperson for the meetings and the General listens to the members and may intervene sometimes but not too often. He is a listener for now and a very active one. In his first few weeks as General he has indeed much to listen to from this special gathering. 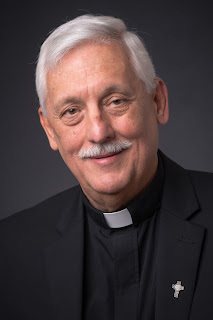 He needs our prayers as he settles in as the General of the Society of Jesus.